Unsealed and uninsulated rim (band) joists lead to a number of problems. 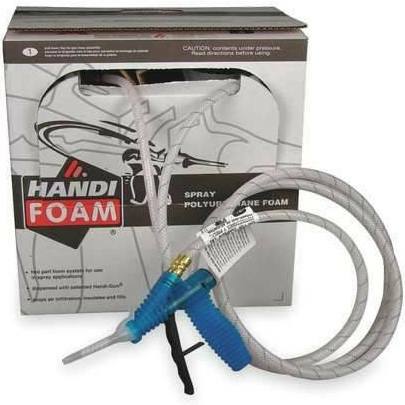 Unsealed - Air leaks through all the cracks between framing members and penetrations for plumbing and wires. Air leakage accounts for about 40% of the heat lost in a typical building. In addition small pests and insects often find their way in. 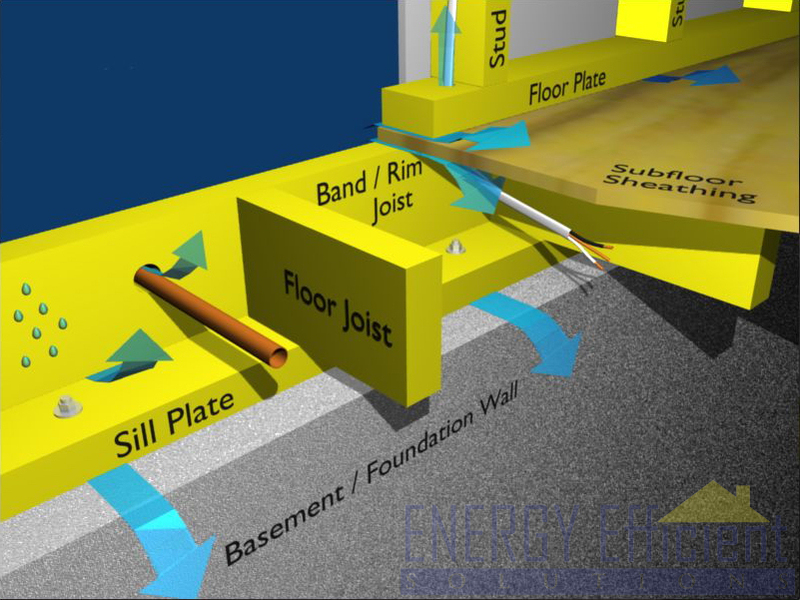 Uninsulated - Heat from your basement or unvented crawlspace is lost through uninsulated rim joists. Condensation - Moisture condenses on the cold surfaces of rim joists leading to mold and rot. Fortunately, all of the rim joist insulation steps above can be achieved in one easy solution. Just apply closed cell spray foam over this entire area. When you use the rim board insulation, be sure to cover all the seams to air seal and coat the band joist with 1-2 inches of foam. 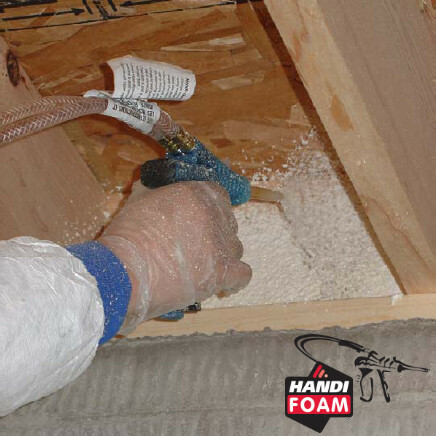 In addition to insulating rim joists, closed cell foam also creates a moisture barrier and helps prevent condensation. Learn more about the savings of sealing rim joists in this case study. 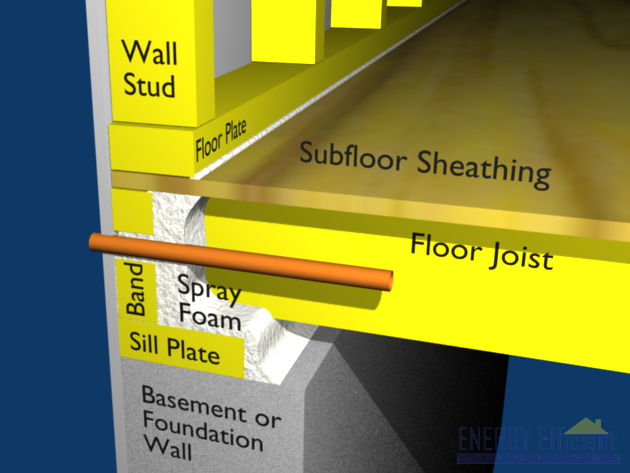 More information on spraying band/rim joists.